John’s Note: At this writing, Mark Rose of Marion, Arkansas, is preparing to fish the FLW Tournament www.flwoutdoors.comon the Red River the last half of July, 2013. 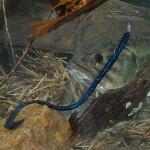 The weather will be extremely hot, and the fishing pressure, during the tournament, will be extremely high. Under these conditions, catching any bass can be very difficult, but Rose is a veteran tournament bass fisherman with secret tactics he believes will give him the best chance to win the $125,000 prize. Let’s look into the mind of Rose, as he prepares to try and earn in 3 days what most of us won’t earn in 2 years. 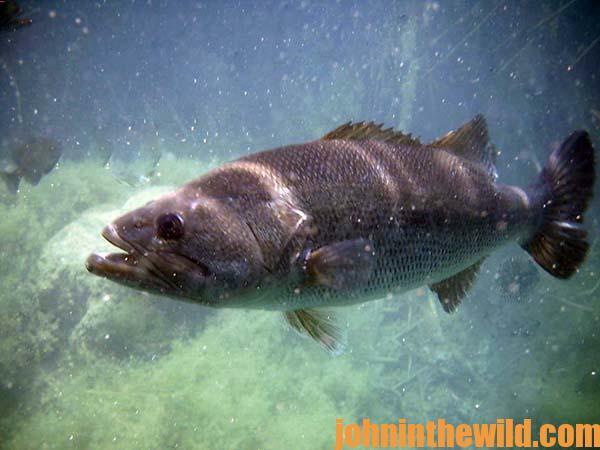 Riprap rocks on the main river channel are another productive place to find bass during the hot summer months. When I am fishing riprap, I like to fish the KVD 1.5 crankbait and also the Strike King (www.strikeking.com) Series 3 crankbait that will dive down to 6- or 8-feet deep. If the water starts to clear up a little bit in the rivers, those bass will move some deeper than when the water is stained a lot. My favorite color Strike King Series 3 is chartreuse-and-black. 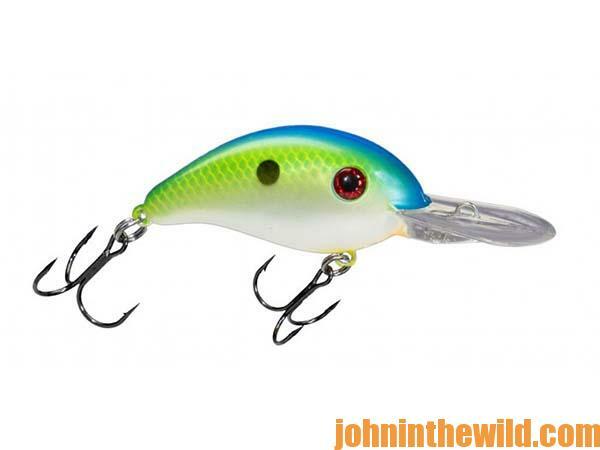 I also use chartreuse-and-blue in the shad pattern Series 3 crankbait. I guess my all-time favorite is the color called citrus that has a white base to it and also has some green and blue, giving this Series 3 brighter and better contrast than some of the other colors do. Unlike many anglers, I don’t try to do anything fancy with my crankbait. I just use a steady retrieve that is not too slow and not too fast. 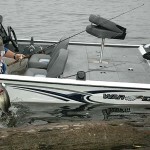 I want to get the crankbait down to the maximum depth it can run. Then, I bounce it off some type of cover. When the crankbait hits the structure, I don’t stop it, pause it or slow it down. I just keep winding it on a steady retrieve. Very rarely will I ever stop a crankbait. I believe I get more reaction strikes by continuing a steady retrieve, rather than pausing the bait when it comes in contact with cover. Sometimes, I will speed it up when it hits the cover, but I never slow it down. Generally when that crankbait hits some type of underwater cover and then swims off that structure is when the bass is going to attack. Another place I will fish the crankbait is on sandbars. I especially like to fish the sandbars on the White River in Arkansas, but you will find sandbars on many rivers in many states. Oftentimes, these sandbars will have underwater springs, which bring cooler water out to the river. Because the rest of the water is so hot, the bass will move to these cool-water springs on the sandbars. 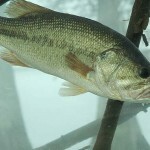 Many times, the bass will be lying right on the bottom with their bellies on that cool sand. Even though there’s not any structure there, the bass still will be there when the oxygen and the cool water are. Most bass fishermen won’t fish clean sandbars with no structure on them, but this is an ideal spot to fish a crankbait in hot weather. I will fish it first with the Strike King 1.5 crankbait. 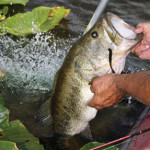 If I am not getting any bites with the 1.5, then I will go to the Series 3 crankbait and fish that same sandbar. I will fish a sandbar, even if it doesn’t have a spring coming out of it. 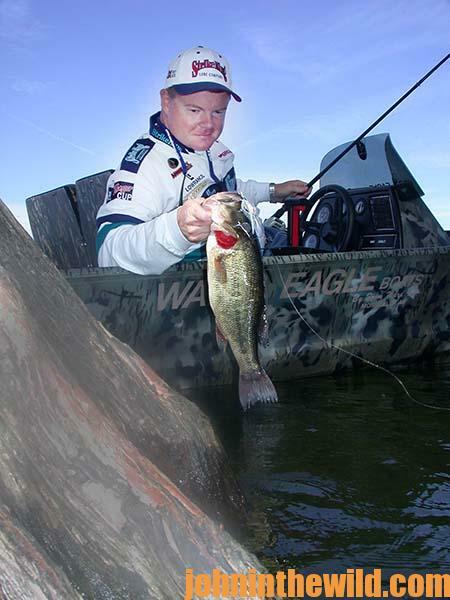 Bass like to ambush shad on a clean bank like a sandbar. A school of bass will push shad up on a sandbar where they can ambush the shad. They do the same thing on mussel bars on the Tennessee River. I compare a sandbar to a dinner plate. We don’t like to eat our food off a dirty, nasty plate. We prefer a clean plate. So, when you have a school of bass that can corral a school of shad and push them up onto a sandbar, the shad are easy, clean pickings for the bass.